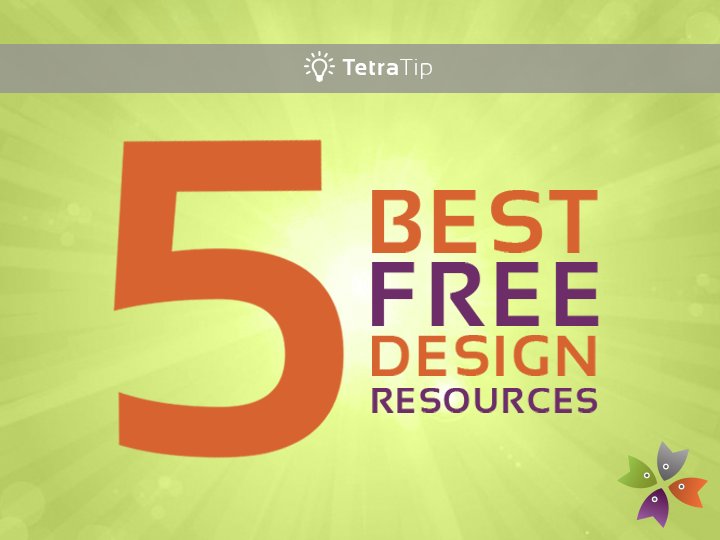 Check out our list of what we believe to be the 5 best free design resources right now. Happy bookmarking! Graphic Burger (graphicburger.com) Design resource for both personal and commercial use. There is a boat load of free stuff here! Font Squirrel (fontsquirrel.com) This is a great spot to find free fonts that are high quality and free for commercial use. Flat Icon (flaticon.com) We love this source for vector icons. They almost always have what you are looking for and the .svg files open right up in illustrator for easy editing! Aquent Gymnasium (gymnasium.aquent.com) Who doesn't want free quality tutorials? This is the spot. Tiny Designr (tinydesignr.com) This is a great source for many items but we love the 135 amazing free PSD mock-ups!